Dentist in Marietta offering family & cosmetic dentistry, dentures, emergency dentistry, implants, Invisalign & more. Marietta Smiles is a family and cosmetic dental practice that is committed to helping patients achieve a beautiful and healthy smile through all stages of life. We consider each patient as a valued friend, and we are committed to providing them with the highest standard of dental care in a compassionate and caring environment. Our team of dental professionals at Marietta Smiles carries deep experience and training when it comes to shaping the smiles of patients both young and old. 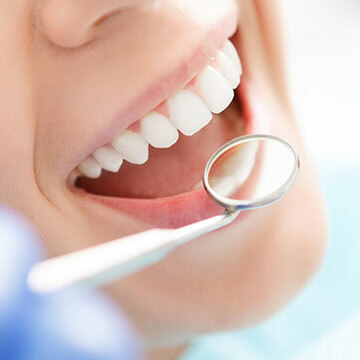 By using the most proven techniques and technology in modern dentistry, our dentists can care for your teeth and gums in the most efficient and comfortable ways possible. In fact, your comfort is a top priority at Marietta Smiles. Our dental professionals always use a gentle approach. We never want fear or anxiety to keep you from getting the dental care you need and deserve. Learn more about our Sleep Apnea services! Learn more about our same day crowns! With our depth of experience and remarkable skill in family, cosmetic and implant dentistry, you can trust that Marietta Smiles can confidently address all types of dental concerns, whether it pertains to the health of your smile or its aesthetics. Our services include general dentistry, cosmetic dentistry, restorative dentistry, sedation dentistry, orthodontics and more. We also offer specialized treatments for sleep apnea and TMJ problems. Regardless of why you are visiting us, your comfort and satisfaction always come first. Marietta Smiles is ready to help you achieve your most confident smile. Our office accepts most insurance plans and we offer flexible payment options that fit your budget. Since we are a well-established dental facility, we know what it takes to deliver the best in family dentistry and cosmetic services. Contact us today to schedule an appointment. We look forward to being your family's most trusted dentist in Marietta.